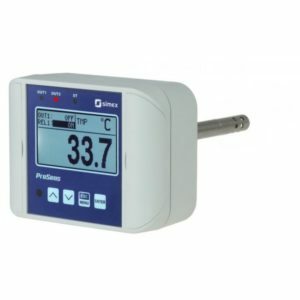 Metrix Electronics' range of Digital Wall Mounted Meters are fully cased waterproof meters with minimum IP65 rating. 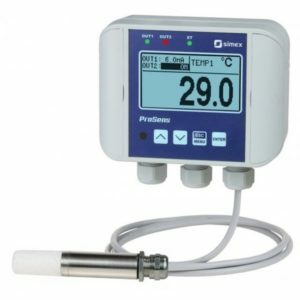 We offer versions to display process measurements such as voltage, 4-20mA, Pt100 as well as pulse counting. 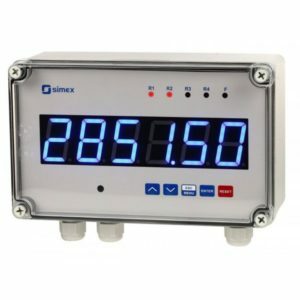 Furthermore some can function as Slave serial displays via RS485 networking. 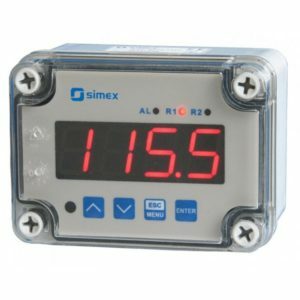 We recommend these rugged digital wall mounted meters for safe installation close to the actual industrial process. 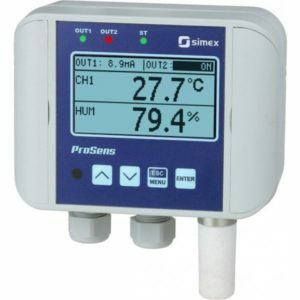 Also many can communicate by RS485 or Ethernet back to a control room. The SLIK-638 universal, programmable counter is encased in a tight, wall-mounted housing (IP 67) with ultra-bright, 6-digit, large LED display. 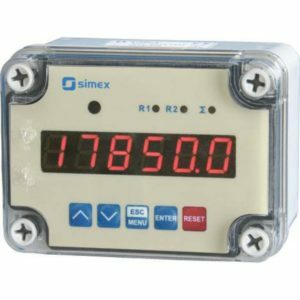 The Simex SLIK-N118 is a multi-purpose counter in wall-mounted IP 67 case. 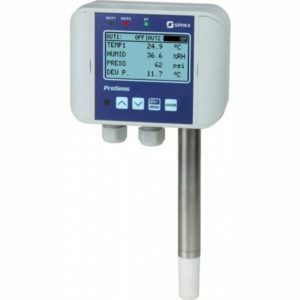 The SPI-N118 flow counters are encased in a tight, wall-mounted housing (IP 67) and designed to work together with flow transducers equipped with contact or electronic inputs. 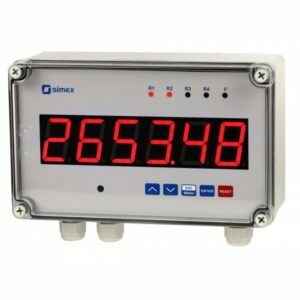 The SPP-638 flow counter is encased in a tight, wall-mounted housing (IP 67) with ultra-bright, 6-digit, large LED display. 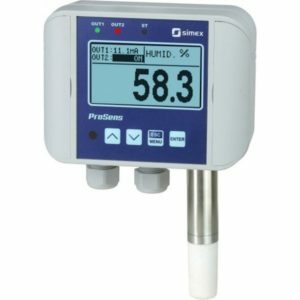 The Simex SPP-N118 is a flow meter in wall-mounted IP 67 case. 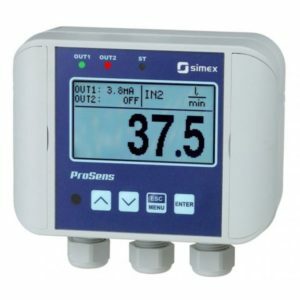 The Simex SRP-N1186 is a 6-Digit process meter in wall-mounted IP 67 case. 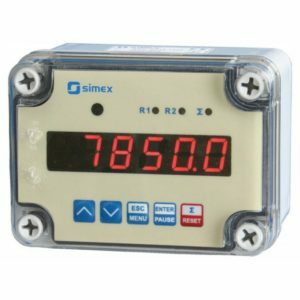 The Simex SRT-N118 is a temperature meter in wall-mounted IP 67 case. 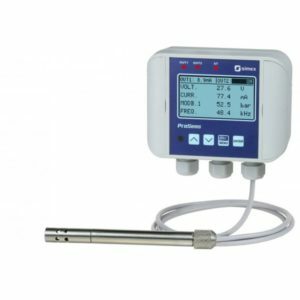 The SRT-N118 temperature meter features easy operation, functional programming menu and a clear 4-digit, 20 mm high LED display.